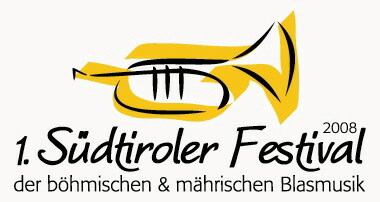 Since the foundation in 1994, the concerts of the Egerländer Brass Band of Neusiedl am See have been made possible by the organizers Rainer und Thomas Stiassny through consequent and efficient organization, contact with qualified musicians from different countries, an ambitiously selected music program and professional preparation of the practice weekends. During the course of time, committed musicians have been found who have agreed to support the extensive work of organization personally, and to join the management of the orchestra. Rainer Stiassny was born on February 24, 1969 in Bruck an der Leitha and grew up in Neusiedl am See in Burgenland. At the age of eight, Rainer began to play the recorder and accordion. At the age of 16 he began dedicating all of his time to the trumpet and the flugel horn. With the hopes of increasing his musical knowledge, he was a guest visitor at the Haydn-Conservatory in Eisenstadt for two years. After finishing his degree in civil engineering at the Vienna University of Technology, he moved to South Tyrol in September 1997 where he has been working as a civil engineer ever since. He is in charge of coordination and organization in the structural framework planning department in an engineering company. He has the authority to give instructions and has signatory powers. Rainer supplements his experience in the area of project planning and construction management in a determined and conscientious way. 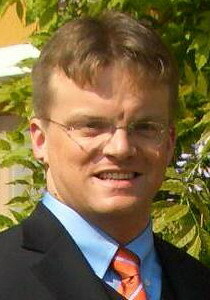 He takes part in many continuing education programs and completed further courses in the areas of Management and Human Resource Management at the European Academy in Bozen, the Management Center in Innsbruck, and since September 2006, a Master’s in Management at he University of Salzburg, St. Gallen and London. In spite of his professional development and success, his musical fascination has continued to remain pivotal in his life. During his free time, Rainer plays with other musicians with similar interests in various bands. During 2004 and 2005 Rainer completed an advanced training course for non-profit organizations in the Bozen Province in the area of music and club management. For the first time in 2002, Rainer took the initiative to organize the Kollmanner Hoangart. This is a fun get-together for singers and musicians of Alpine folk music which takes places regularly in the community of Barbian. 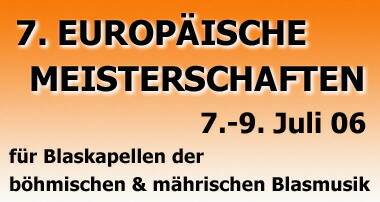 In 2006 as project leader, Rainer organized the seventh European Championship for brass bands in the Bohemian and Moravian styles. He was able to get this remarkable international musical competition to come to South Tyrol for the very first time in history. Stefan Grausgruber was born on November 18, 1975 in Vienna and grew up in the town of Pillichsdorf in Lower Austria. In elementary school Stefan started started taking recorder lessons and at the age of 10 switched to the tenor horn. One year later he began participating in the Pillichsdorf music group. From 1988 onwards, Stefan began taking tenor horn lessons from Wolfgang Strasser (first trombonist in the Radio Symphony- Orchestra Vienna) and by the ago of 13 he received the gold badge for children�s musical achievement. Consequently he was able to participate in the orchestra camp Jeunesse Musicales in Salzburg and the competition Youth Musicians in Leoben. During his obligatory military service, he served in the military band Guard Music Vienna. At this time he also played the trombone in the jazz band Mood Company. In 2003, Stefan decided to complete a two year music director program at the Lower Austrian Brass Music Assembly which he completed in 2005. For his vocational training, Stefan studied at the University of Natural Resources and Applied Life Sciences in Vienna where he finished with a degree in Argricultural Sciences in 2006. Since then he has been working in the food industry and is responsible for the areas of production, planning and quality management. 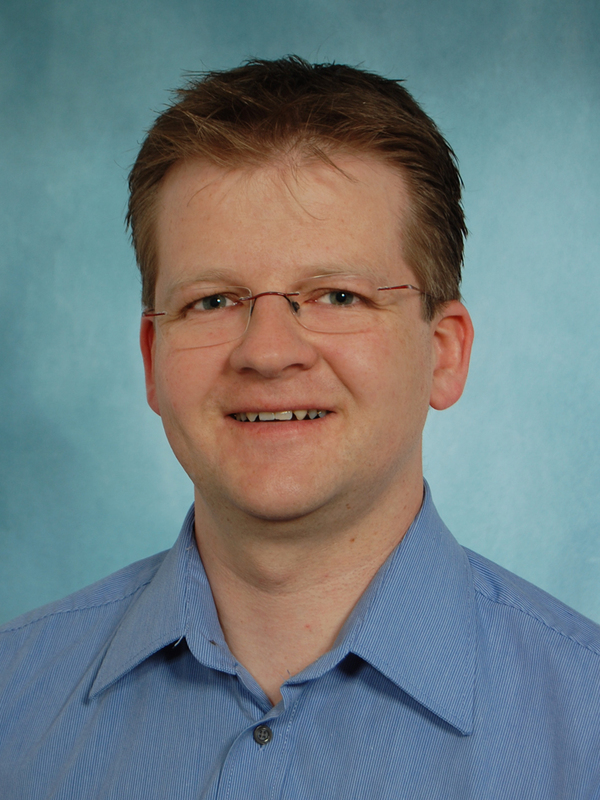 Hannes Stuffer was born on 17th October 1969 in Meran and grow up in Grödnertal in South Tyrol. 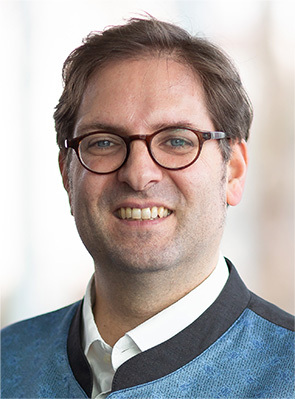 After joining the secondary school in Bozen he graduates the construction engineer on the Technical Universities of Bologna and Hannover in 1996. 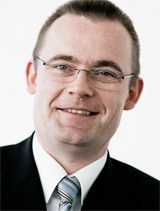 In January 1998 Hannes Stuffer enters the Chamber of Engineers Bozen. Since then he works as freelance engineer in South Tyrol. Focus in his job is planning in the fields of support structure planning, infrastructures and security coordination as well as construction management and accounting of projects in structural and civil engineering. 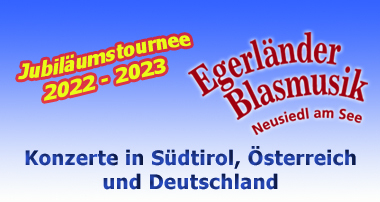 Ties of friendship brings him to the Egerländer Blasmusik in 2007, where he becomes an active part of realizing Concerts. Stefan Jahnke, born in 1977, grows up in Hilgertshausen (Upper Bavaria) and starts as young boy with the recorder. In the age of seven he changed to the clarinette. One year later he joins the "Münchner Bläserbuben". 1990 he changed to the Blaskapelle Petershausen and takes several musical skill enhancements. In this time he also earns the musician emblem in gold. From 1998 till 2005 Stefan Jahnke studies clarinett by professor Hermut Gießer at the Robert-Schumann-University of Music in Düsseldorf and graduates with the diploma. Seit 2001 spielt Stefan Jahnke beruflich bei der deutschen Militärmusik in Garmisch-Partenkirchen. Raimund Pizzinini, born on 17th September 1972 in Bruneck (South Tyrol) and grown up on a farm in Abtei (Gadertal - Alta Badia), starts playing clarinet with 9 years on the musical school of Abtei and Brixen. With 17 he starts studying music on the Claudio Monteverdi Academy of Music in Bozen and 2 years later he continues his study on the Academy of Music G.B. Martini in Bologna, where he finishes with the diploma in 1994. Parallel to his music study Raimund Pizzinini graduates to a Radiology Assistent study, which he closed with a doctorate in 1997. 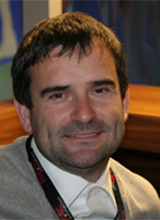 At the moment Raimund Pizzinini is working in a private clinic in Bozen as MRTA-Coordinator and Quality Consultant. As musician he can gain experience in several orchestras, e.g. 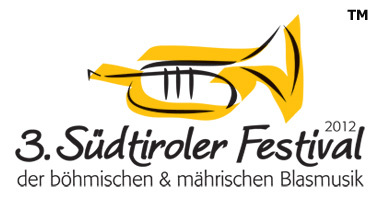 Symphonic Winds, Orchestra Samassi (Sardinia), Trentino Wind Band, Clarinet Quartet Abtei, Blasorchester Schladming. Due to Raimund Pizzinini get involved as teacher at youth wind section workshops and more for the VSM (Collective of South Tyrol Orchestras). 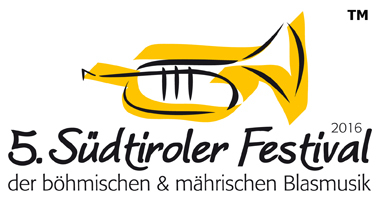 Andreas Kößler, born on 15th March 1975 in Buchloe and grown up in Landsberg am Lech, starts learning the trombone with 13 years at the music school of Landsberg am Lech. One year later he joins the Stadtjugendkapelle Landsberg. 3 years later he also gets lessons for Baritone. In 1995 Andreas Kößler starts on the regional competition of "Jugend musiziert" and wins the 1st price, which allows him to get to the Bavarian final where he ends on the 2nd place. 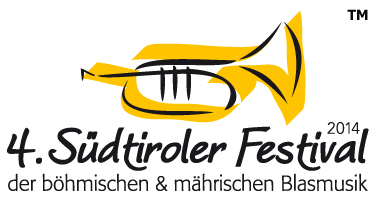 From 1996 on Andreas Kößler gets one year education lessons by Dany Bonvin (Solo Trombone player of the Munich Philharmonic Orchestra) and joins one of his master classes in Sion also. 1997 he starts his conductor education on the Academy of Music Marktoberdorf, which he graduates in 1998. In the same year Andreas Kößler achieves the Cultural Advance Price from the Rotary Club Landsberg. Although Andreas Kößler is bounded as electronic master and technical business economist of industrial art in his own company Kößler Elektrogeräte, he always finds time for his love to the bohemian music. Florian Ebert, born on 21 January 1975 in Schweinfurt (Lower Franconia), discovered his love for music as a child. As a trainee, he studied trumpet at the Würzburg Conservatory with Richard Stewart. After A level he served in the Army Band 12 in Veitshöchheim. Thereafter he studied music education at the University of Bamberg and graduated with the state examination in 2002. While studying Florian Ebert collected valuable experience as an orchestral musician and intensified his musical knowledge in various music ensembles, classical orchestral, symphonic wind music, ensemble playing up to the big band. Since 2007 he teaches at the Duke Otto school in Lichtenfels, where he developed the school's brass classes and serves among other things. Despite the classical training, his interest is also the Bohemian wind music. As a conductor and choirmaster, he acts in various wind ensembles and choirs for several years. In 2008, with some friends, he founded the band "Maablosn" and achieved success in the highest level as a conductor at the first German Championships for the Czech and Moravian brass band championship. 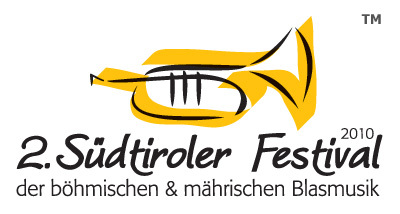 Florian Ebert is also a member of the Wind Ensemble "Blech g`habt 'and the folk music group "Häisd` n `däisd vom Mee", he received the Culture Prize of the Hans Seidel Foundation for in 2009.